There are 1,300 miles of Pacific coastline stretching from Mexico to Canada in the states of California, Oregon and Washington. 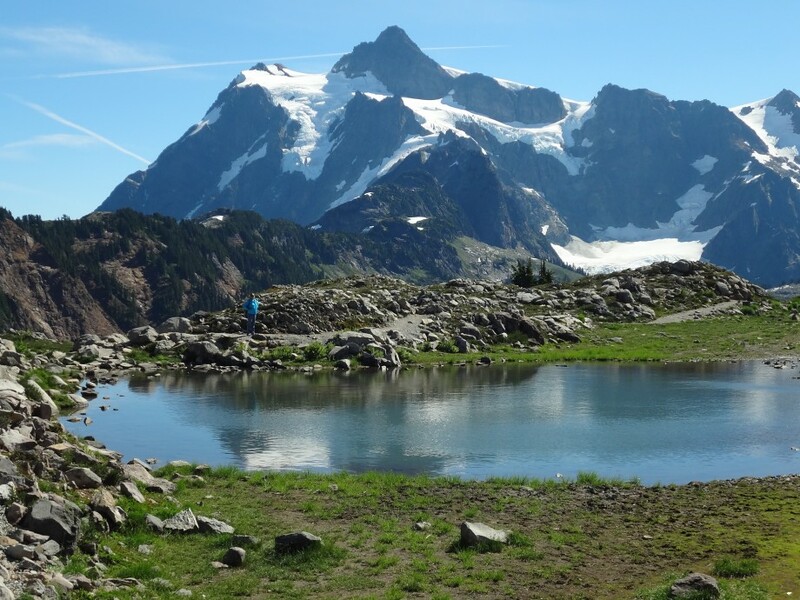 It’s a magnificent coast and gets wilder and wilder the further north you go culminating in the last 73 miles within Olympic National Park where the coast becomes a wilderness with no roads, stores, houses – just eagles, tide pools and remote ocean-side camps. My favorite part is the South Coast Wilderness out of La Push, Washington. It’s hikable all year, but winters are stormy, cold and wet. Backpacking along the Pacific coast has unique considerations over backpacking anywhere else. 1) First, the tides. Bring a tide table in order to keep track of when high and low tides occur. They are available online, at regional sports stores or at Park Service stations. There are “headlands” (cliffs that protrude into the ocean) that cannot be walked around at high tide and more importantly, unaware hikers can be trapped on rock ledges or rocks by incoming tides. 2) The second is weather. Since you are on the ocean, weather can change very quickly so bring a raincoat regardless of the weather report. 3) Water, drinking water that is. There are freshwater streams flowing into the ocean here and there but not as many as you might think. Fortunately the Park Service has established campsites near reliable freshwater sources. 4) Finally, animals. It’s pretty rare, but you might encounter bears or seals on the beach; however, the most common animals are raccoons which have become pests in most camps. Because of this the Park Service requires that you carry and store your food in a “bear vault”, a large polycarbonate jar with a screw-top lid. They can be purchased at outdoor camping stores like REI or the Park Service has some available for rent. 5) Maps. It’s hard to get lost on this trip since you are walking along the coast, but a good map will show campsites, water sources and areas subject to high tides, so carrying a good topographic hiking map of the area to use in conjunction with your tide table is wise. Topographic maps are available in area outdoors stores, at REI or Park Service stations. Custom Correct or National Geographic’s Trails illustrated maps are good ones. 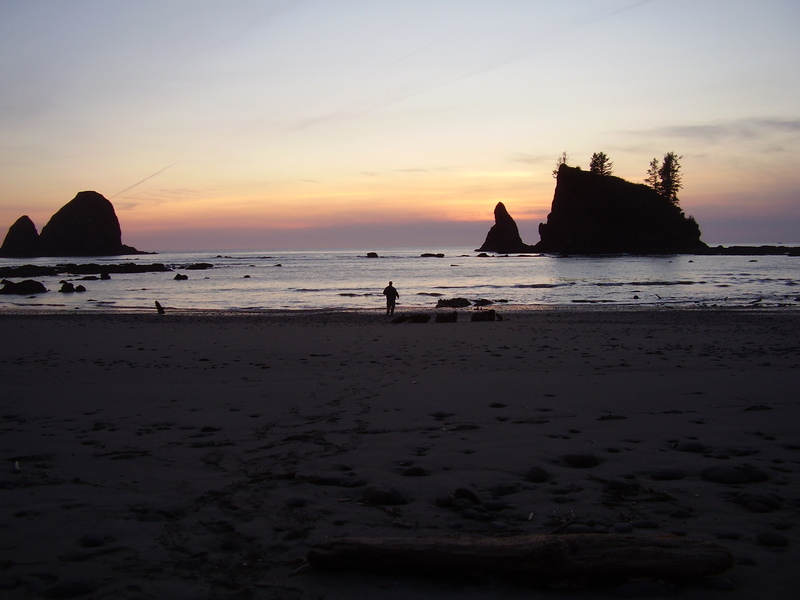 The South Coast Wilderness trip can be done as a through hike from Oil City to the south up to La Push on the north end (or in reverse of course), but you’d need to stage a car at both ends. I prefer to hike in and out from La Push so that only one car is needed. Starting at Beach #3 near La Push you walk through an easy, flat mile of mossy rainforest before descending a low hill to driftwood lined Third Beach. Then, walk south along the beach – that’s the trail. The high point of the trip is Toleak Point, 6.5 miles from the trailhead, with its forest-lined beach and dramatic “seastacks” (jagged pinnacles on and near the shore). 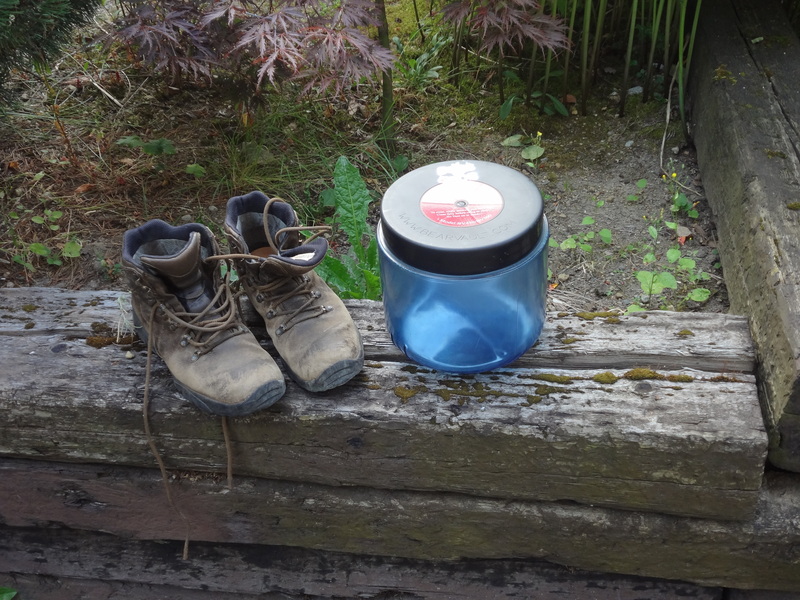 Being accustomed to backpacking in the mountains I thought carrying a backpack along the flat, sandy beach would be easy, but it isn’t as easy as it sounds. The soft sand exhausts your legs and the route is punctuated by steep climbs over headlands. I soon found a couple tricks for hiking along the ocean; it’s easier to walk near the surf line where the sand is wet and more firmly packed. A pair of cotton work gloves come in real handy for protecting your hands when climbing the rope ladders over the headlands. And, though you have to conscious of tides, I found all the headlands had trails over them accessible even at high tides. There’s a lot to explore along the wilderness coast. Bald eagles wheel overhead. At low tide protruding rock shelves have tide pools full of multi-cored starfish and lime-green anemones. The forests behind the beach are dense rainforest with hanging moss and wind-blown trees. Watch for marine animals; seals, brightly colored puffins, occasionally a whale spouting off shore or sea otters floating on their backs cracking open clams. And, maybe best of all, watching the spectacular sunsets over the Pacific from the comfort of camp. After this trip you may want more. Then, consider the longer and more strenuous North Coast Wilderness starting from Rialto Beach outside of La Push. But that report is for another time.